Made with Classic Oiled Shoulder by CF Stead, a heavyweight leather with a smooth, waxy surface, deep pull-up and vintage-look finish. Unlined for raw, urban feel. 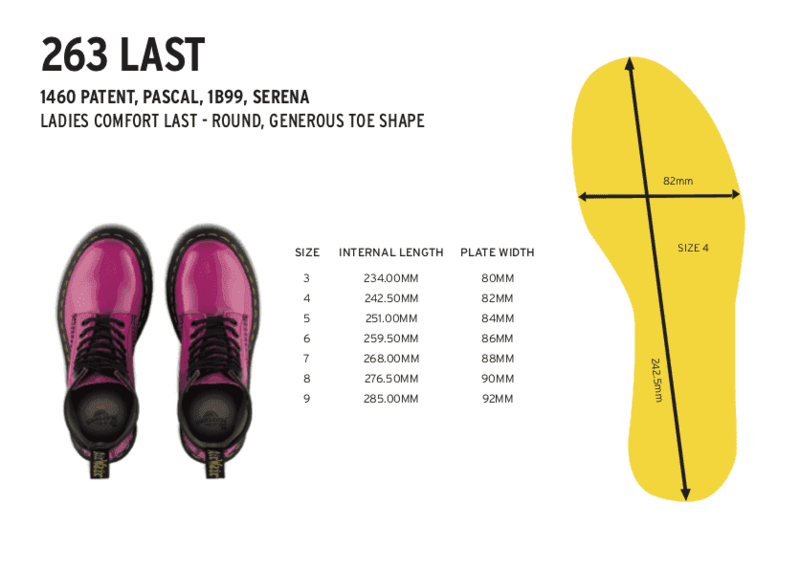 Built on the iconic and comfortable Dr. Martens Airwair™ air-cushioned sole. The sole is secured using one of the most durable construction methods available: the Goodyear welt. The Pascal Ripple is a Made in England style, hand-crafted by our Cobb's Lane factory in Wollaston, Northamptonshire, England. Inspired by a vintage sole mold, considered details like the unique ripple-toothed sole, antiqued eyelets and premium CF Stead leather bring a high-fashion feel to the style of our 8-eye silhouette.